Southern Right Whales graced the waters of Walker Bay long before people even started to settle in the area. And while their coming and going every year is almost like clock-work, how they manage to appear so graceful is a mystery to most. Their mesmerising frolicking and gentle nature attracts thousands of curious observers to the tranquil coastal town of Hermanus every year, making it an incredibly popular Western Cape town. 34 South Tour’s “Hermanus and the Whales” tours offer tourists vising South Africa the opportunity to go whale watching in Hermanus. These tours are a day in length, departing early in the morning from Cape Town and returning in time for dinner in the Mother City. This tour not only allows guests to see the whales, but also takes them on a scenic drive through the Helderberg mountain range. The tour is also professionally run, ensuring guests a smooth and enjoyable experience, and the opportunity to learn something about the whales. This tour is also seasonal: Southern Right Whales can be seen in just a few bays in the Southern Hemisphere during the second half of the year, when they return from the freezing waters of Antarctica to give birth and mate in the warmer waters of the Indian Ocean. They spend up to four months in these waters before making the lengthy return trip back to Antarctica. While on the tour, you’ll be given the chance to observe these large mammals from a Hermanus lookout point. Weighing forty-seven tonnes and stretching fifteen meters in length, these truly enormous sea creatures entrance onlookers with their graceful breaching (soaring through the water into the air before belly-flopping onto the water’s surface), swimming and bathing. 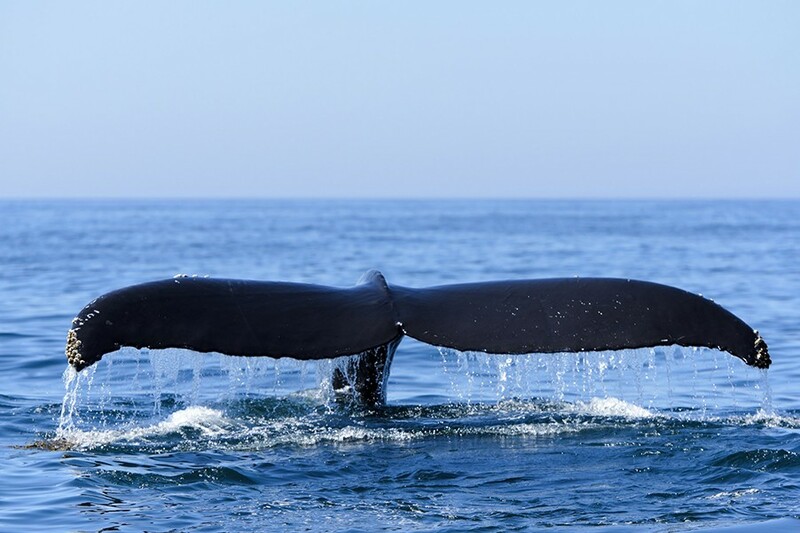 While taking you on a Cape Town tour unlike any other to see these beautiful animals, 34 South Tours will give you the option to go on a whale watching boat cruise which will take you up to fifty meters away from the whales. You may prefer to visit one of the local wine estates however, explore their cellar and pick a bottle of red to take home with you. You may also choose to visit the Harold Porter Botanical Gardens or even the Fernkloof Nature Reserve. On your return, your tour driver will take you on one of two routes. Depending on which route he took you to Hermanus on, he will now take you over the famous Sir Lowry’s Pass which stretches from Elgin and Grabouw (the heart of the Western Cape’s apple county) to Somerset West, or via Clarence Drive, a beautiful road which hugs the cliffs going into the sea and offers truly beautiful views of the sea. While this Cape Town tour is just a day in length, you’ll have more than enough time to observe the whales and soak in the relaxed atmosphere of Hermanus. Showing you beautiful scenery, a new and different side of Cape Town and the Western Cape, and the rare and majestic Southern Right Whales, this tour offers a great opportunity for tourists to explore further. Although this Cape Town tour is just a day in length, you’ll leave satisfied by the beautiful scenery and will feel relaxed and refreshed by a gentle sea breeze and coastal town atmosphere and will have had the rare opportunity to see the gentle and stunning Southern Right Whales.